I have done necessary adjustment for my headlights, direction & angle; but the end result still not satisfying enough. 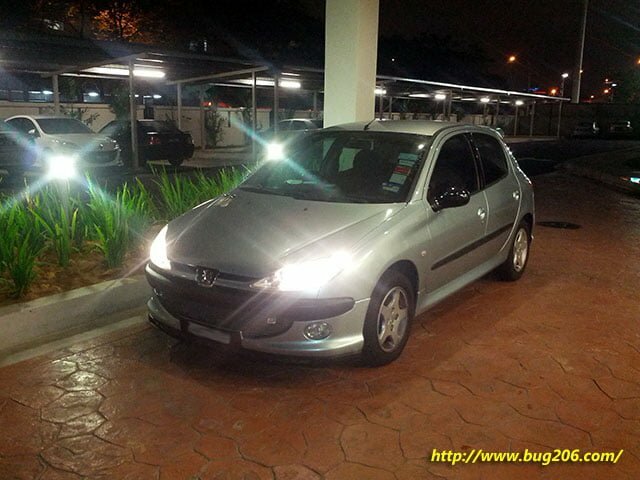 The headlight was better than before with correct throw out and distance… just a little bit dim compared with other car. So, I have decided to upgrade the headlight bulbs to a better one. 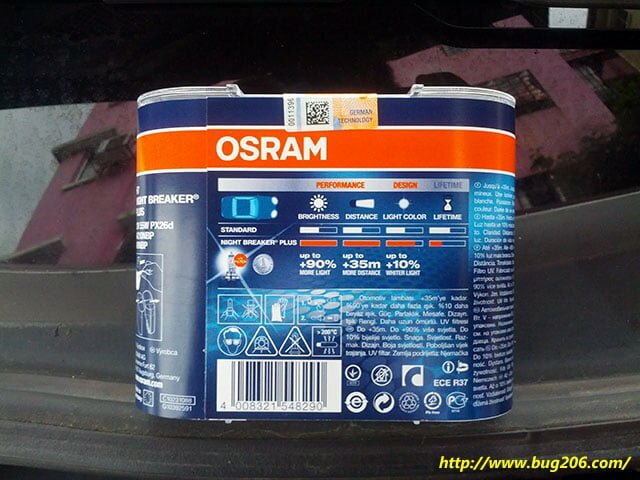 There are a lot in the market but the most common and popular is either Philips X-tremeVision or Osram Night Breaker Plus. I chose the latter since it is much cheaper for this experiment. 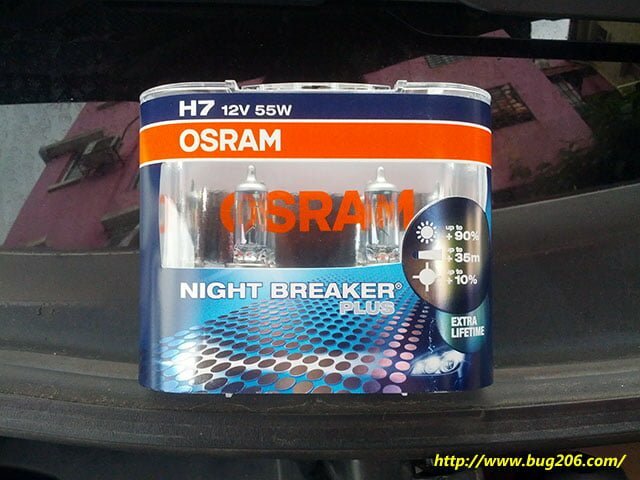 For this experiment, I will be using a pair of H7 Osram Night Breaker Plus for the dipped beam and Philips BlueVision Ultra W5W for the side lamp. 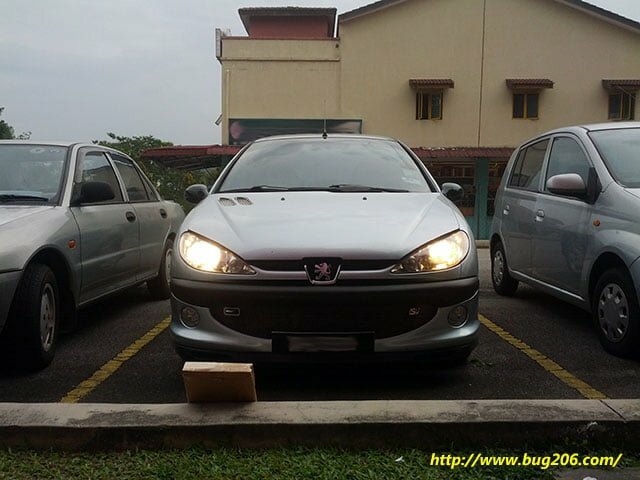 Main beam and fog light are excluded since I rarely use these lights except for certain situation only. Thus, investing couple of hundred dollars in this area does not giving me a good return on ROI. 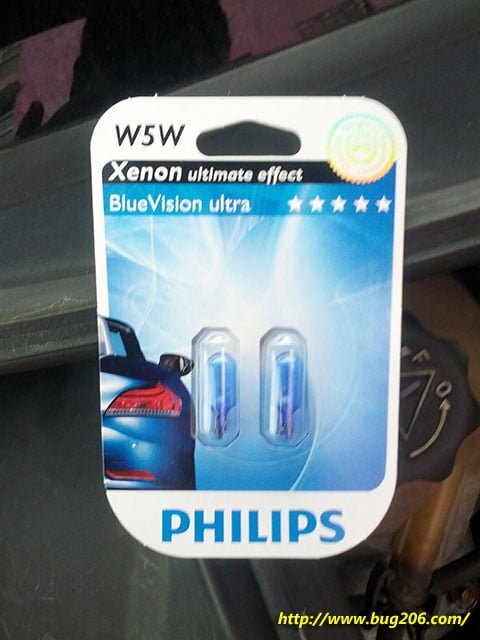 The Philips BlueVision Ultra W5W is for aesthetics only. It does not help in increasing the view field or brightness than the original. 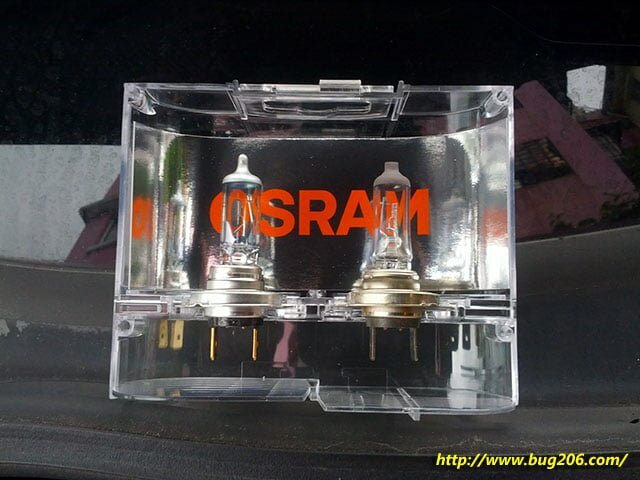 Since the Osram projecting around 3500 Kelvin, thus I need to have a side lamp bulb that can match it. Philips is around 3400 Kelvin. On the contrary, the standard dipped beam is around 3000 to 3200 Kelvin and the side lamp is around 3000 Kelvin. Installation is a straight forward job. 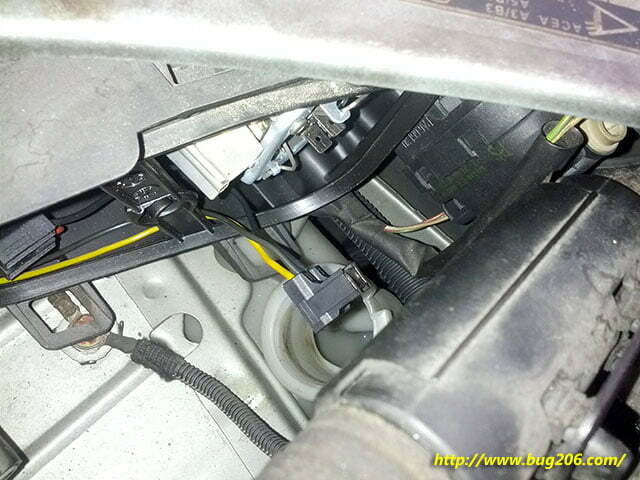 Open up the rear dust cover of the headlight, disconnect the socket, undo the clip and pull out the bulb. For the right hand side headlight, you need to remove the washer filler neck to provide ample working space. The wiring socket is easy to break, just becareful when disconnecting them. The outermost bulbs are for the dipped beam, the innermost bulbs are for the main beam. While I’m doing the above mod, I did replace my HVAC pollen filter. It has been there for almost 100K KM. 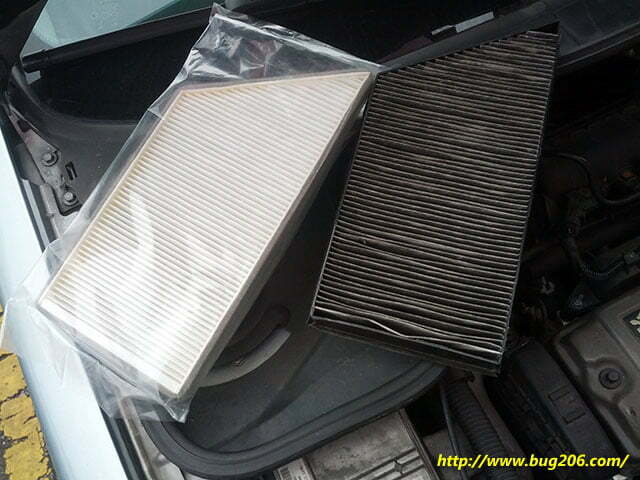 It was due to be replaced and I opted an OEM filter which cost me RM40. Let see how long it can stand. The old filter is full of dead leaves and bugs…. 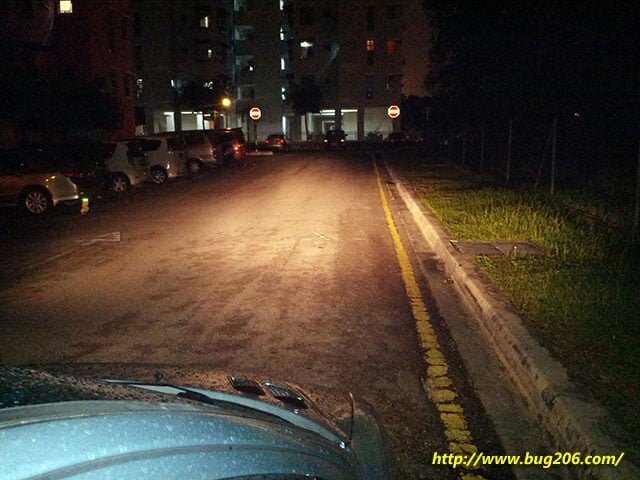 I have problem with my right headlamp where the light shining to the left. I have been searching the manual to do the adjustment but couldn’t find any. Do you know how to do horizontal headlamp adjustment? Can you share the post and let me know? The adjustment knob is on the other end of the headlight leveling motor. You can’t miss it. It is behind the blinker light section. Inner side of the headlights. Anyway, it is typical that 206 has sightly higher left hand side projection. Unless the light centre point was mess up.